ile and pot racks, oh my! Just a little update on the kitchen’s finishing touches. The super thick subway tile has been applied countertop to ceiling, I love the results! 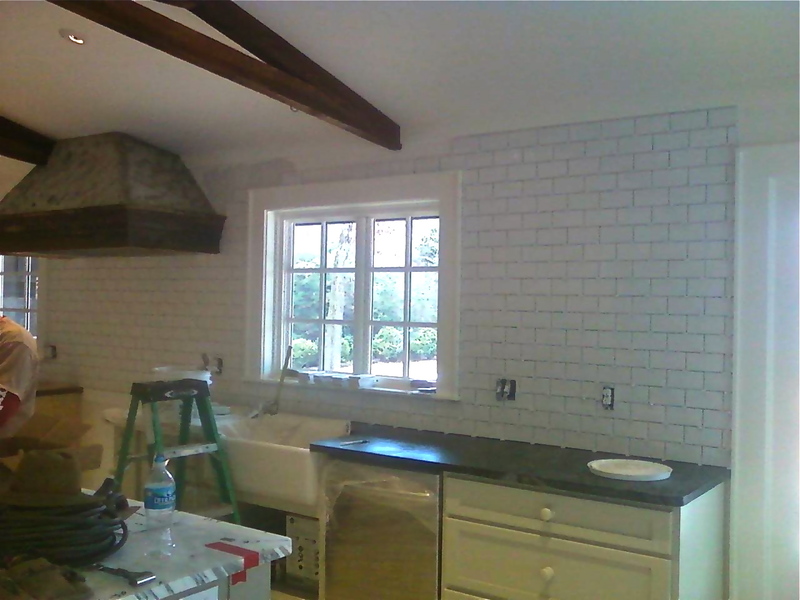 The grout lines will be very narrow and the same white as the tile–I wanted the tile to be the star and not the grout. 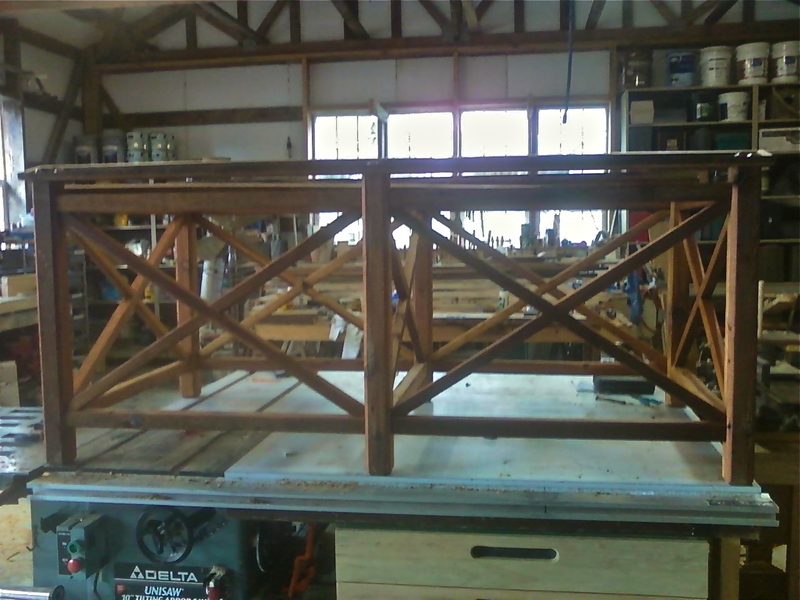 The pot rack, made from the old barn beams, is in progress and is awaiting the iron rails for the side. The pictures are a little fuzzy–so sorry. Much more soon.